Do you ever run on a treadmill(s)? If you have had to the opportunity to run on various treadmills have you noticed that running at the same pace on certain treadmills feel easy while others made running feel much more difficult? I own a treadmill that made running always feel more difficult than running at the exact same pace outdoors or on a different treadmill. At first, I thought it might be just the deck and the cushion or lack thereof that took more energy to run on. But my curiosity got the better of me and I thought I would check its accuracy to see if it perhaps was actually going faster than the control panel indicated. We tend to have blind faith that the speed readings on the control panel are correct, but are they? 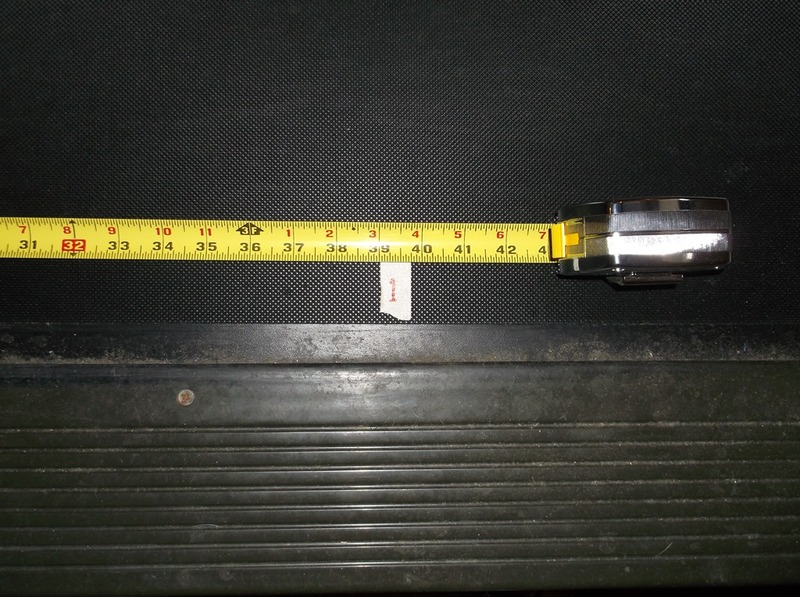 Does it really matter how accurate a treadmill is? Yes. If you are training for a specific goal and some of your training is on a treadmill, it is important to know exactly how fast you are running. Following is a simple procedure I came up with to measure just how fast a treadmill is going as compared to the control panel read out. It is a non-intrusive process. It only takes a few minutes. If you run on a treadmill that you do not own, such as at a fitness center, I recommend you first tell the fitness center employees what you are doing. 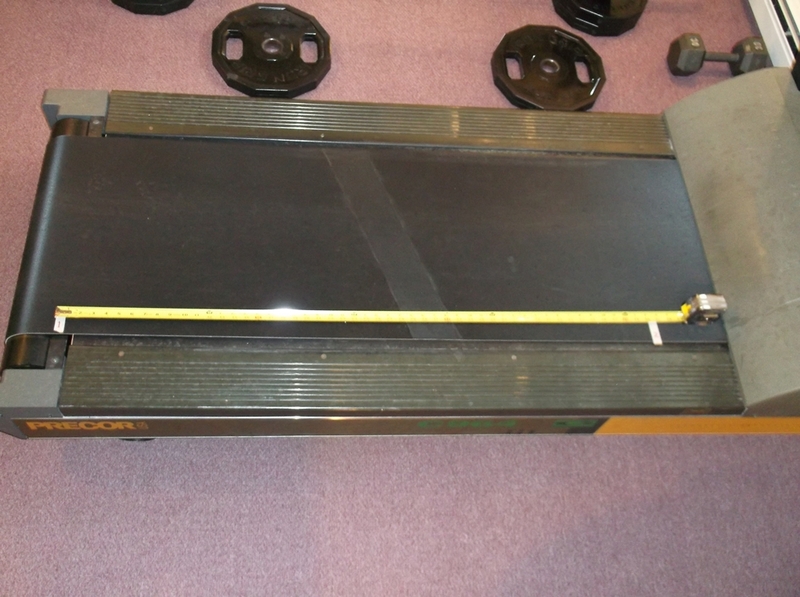 Put a strip of tape on the belt near the edge of the belt near the back of the treadmill. Label that tape strip 1. 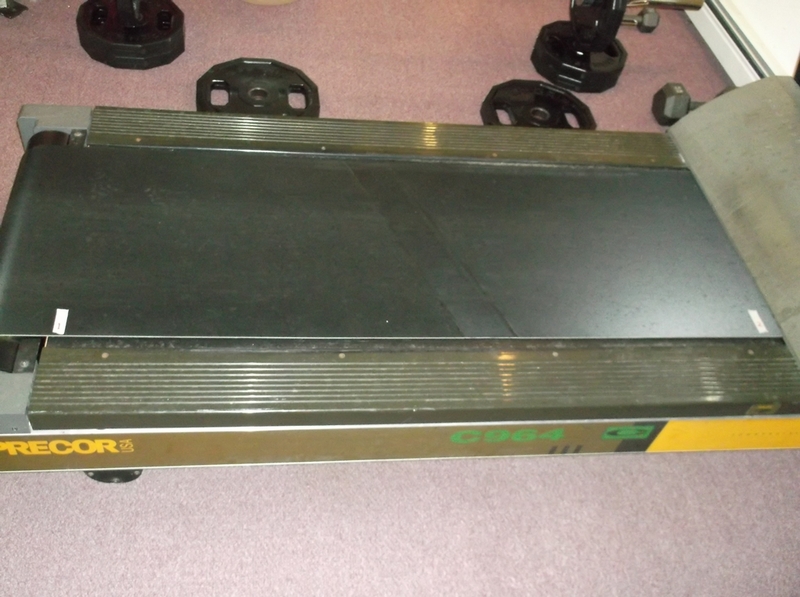 Put a second strip of tape near the edge of the belt near the front of the treadmill. Label that tape strip 2. Measure the distance between the leading edges of strip 1 and strip 2. 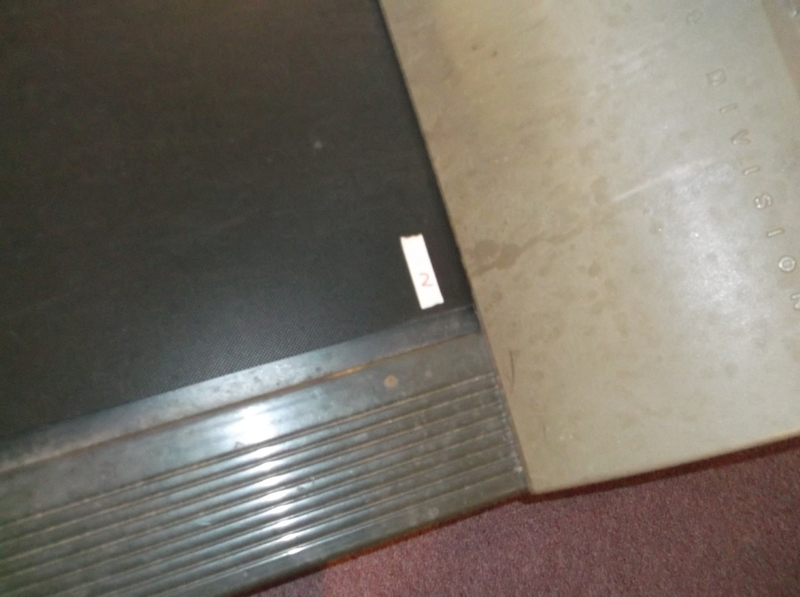 Put a third strip of tape near the edge of the belt near the front of the treadmill. Label that tape strip 3. Measure and record the distance between the leading edges of strip 2 and strip 3. 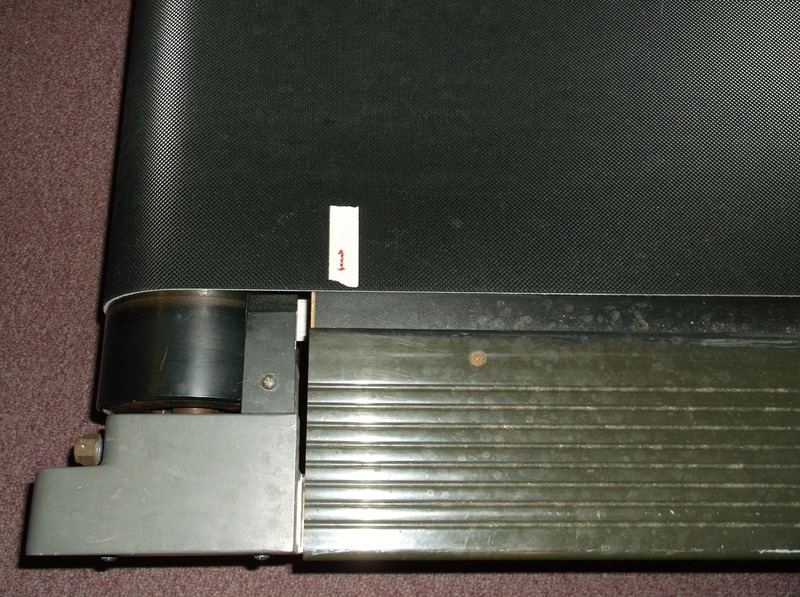 Rotate the belt until tape strip 3 moves to the back of the treadmill. Tape strip 1 will become visible near the front of the treadmill. Measure the distance between the leading edges of strip 3 and strip 1. Add the three measurements. 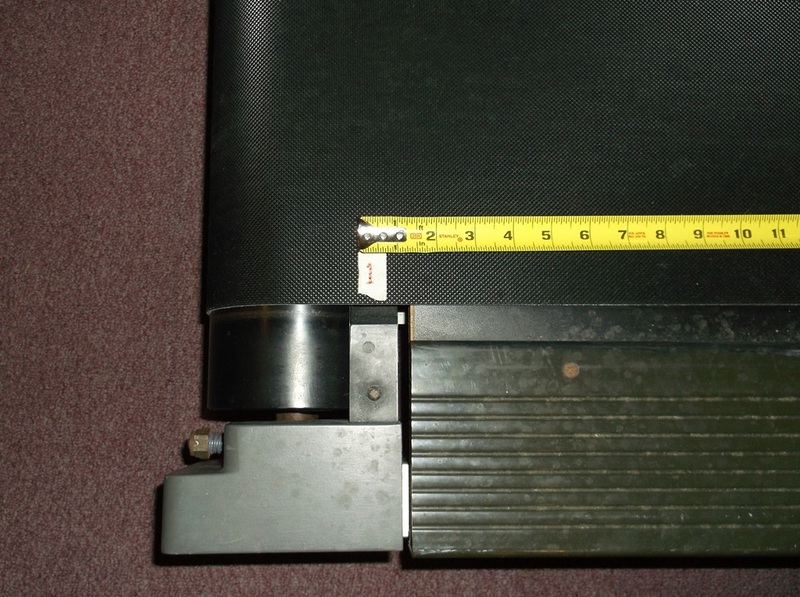 This is the length of the treadmill belt. Remove two out of the three of the tape strips from the surface of the belt. Get on the treadmill and start running at the speed you wish to check. Once the treadmill is up to steady speed, have the person who is your counter start the stop watch when they see the tape strip come around and become visible as the belt rotates. The person doing the counting then counts rotations (each time the tape strip becomes visible) for at least one hundred rotations. When the tape strip comes around and becomes visible for the 100dreth time, the counter stops the watch and records the time. The distance traveled in the measured time is 100 rotations multiplied by the belt length. The speed is distance traveled divided by the time. 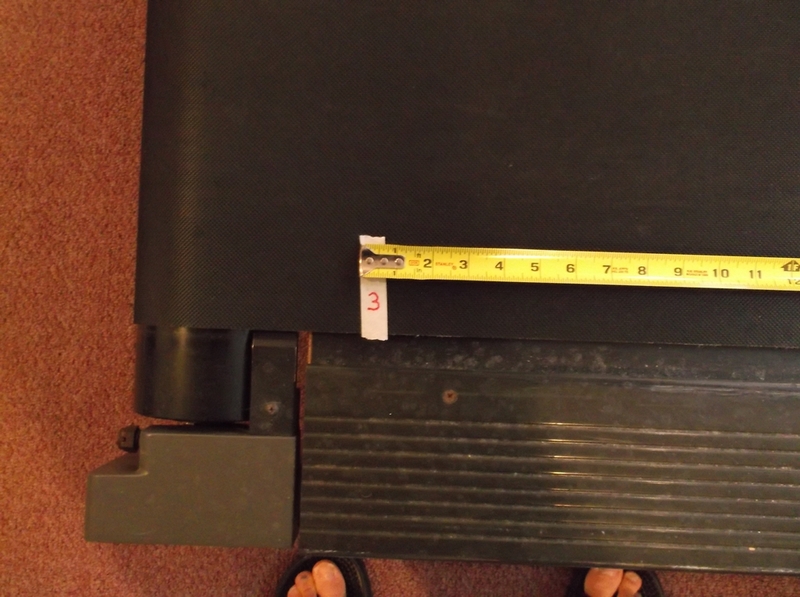 My treadmill belt length is 138.5 inches. With a treadmill control console setting of 7.5 MPH (miles per hour) it took 1:42.56 (one minute, 42 and 56 hundredths seconds) for the belt to rotate 100 times. This converts to a speed of 7.67 MPH or a pace of 7:49 per mile. This is actually 2.3% faster than then the treadmill display console stetting. So when this particular treadmill says you are running at 7.5 MPH you are actually running at 7.67 MPH. 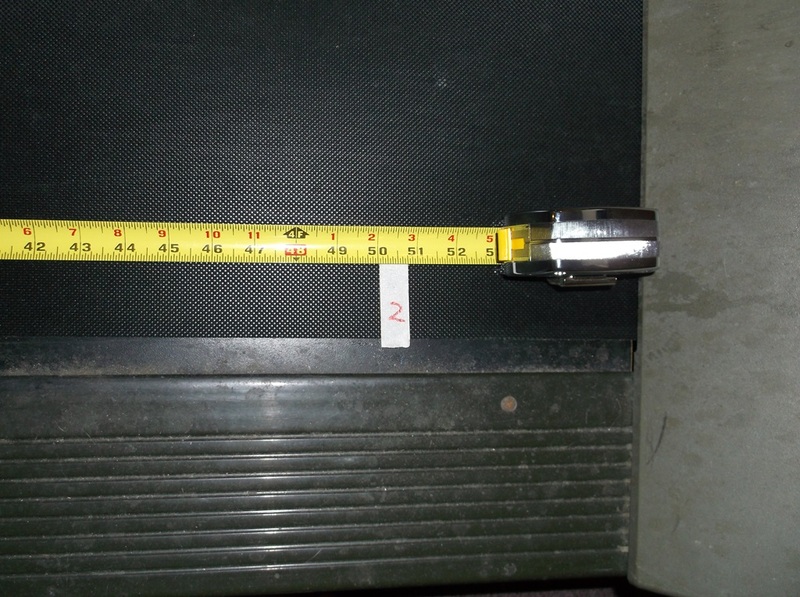 In the case of this treadmill and given the three distances checked, the error appears to decrease as the speed increases. With some confidence you can conclude the error will be approximately 2.3% faster for treadmill speeds between 5 MPH and 10 MPH. Once you figure out the error or correction between the actual speed and the display speed of the treadmill you can then set the speed to what is needed to achieve the desired speed. The error between actual and the console display speed unfortunately is not the same for every speed setting. Other factors that can affect the error are the incline setting of the treadmill and the runner. Each runner will interact differently with the treadmill because of the weight and the way they run. As a general rule, the larger (heavier) the runner the more potential for the treadmill to slow down as the treadmill motor works harder. Also there is more potential for the belt to slip with a larger runner causing error. Other factors that can affect accuracy are the lubrication of the deck under the belt, and the stretching and wear of the belt with use. Consequently, you pretty much have to do a calibration for each different runner and over various speeds and inclines. 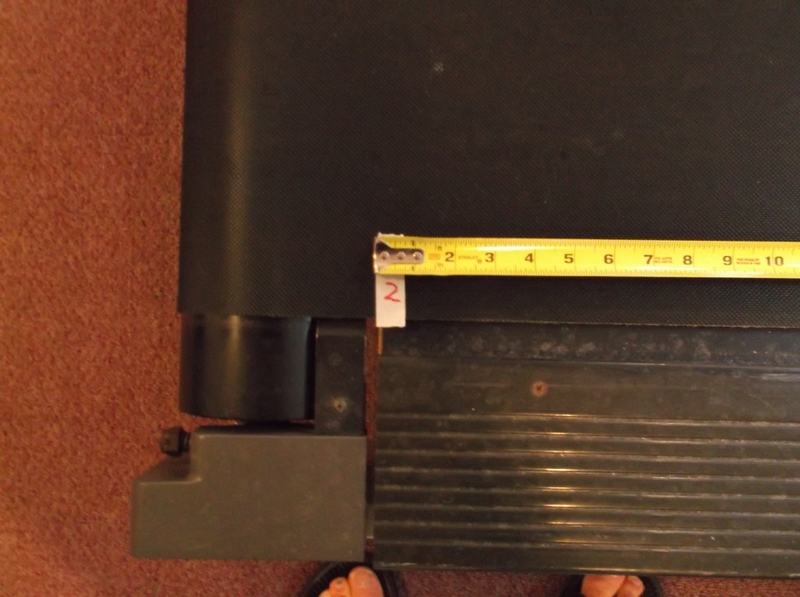 This is why you need to do the calibration with a person actually running on the treadmill. Just operating the treadmill unloaded with no runner stressing the machine cannot be trusted to yield accurate results. 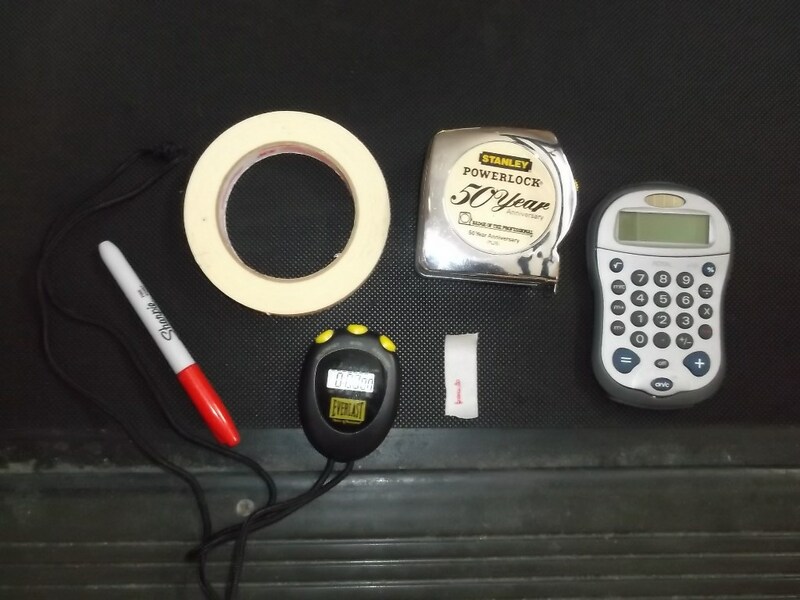 This entry was posted in Equipment, Training Guidance and tagged Treadmill Accuracy, Treadmill Calibration. Bookmark the permalink. Good idea. Thanks for pointing it out. Make sure to be running on the treadmill when you do this so that you calibrate the treadmill in a loaded state. This may be easiest when a second person holds the bike wheel on the treadmill while you are running on it. You are very welcome to link to and reference this article. Hope it helps someone. 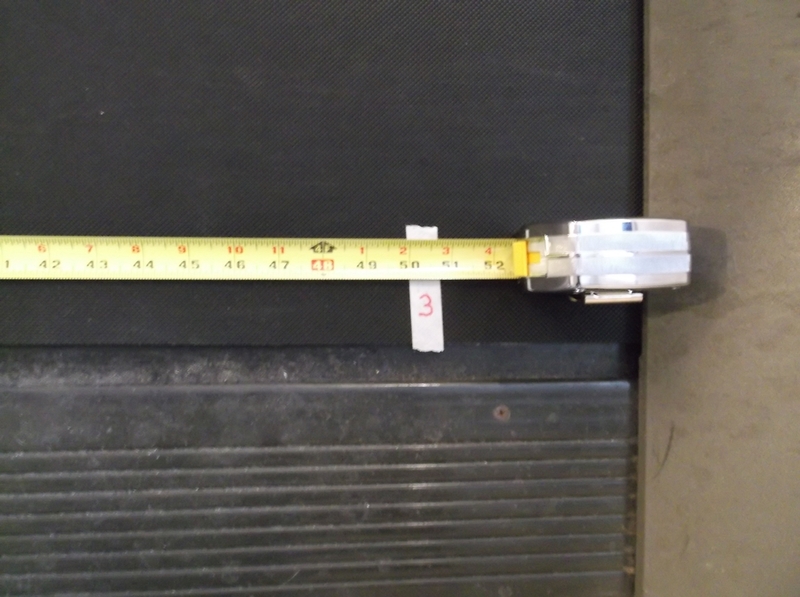 Can you use the speed and distance data from a non-gps foot pod to check a treadmill accuracy? At best, they give a rough estimate of running speed and distance covered. No. GPS does not work that way. It measures your location on the globe (planet) and its change (speed). On a treadmill you are not really going anywhere so it will give a 0 speed – provided you can get a satellite signal while indoors where the treadmill probably is.